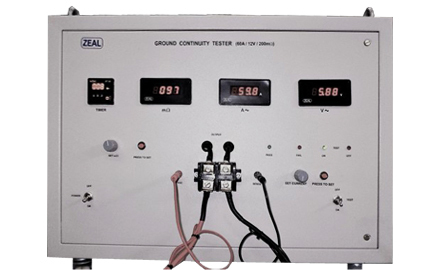 We are Manufacturer, Supplier, Exporter of Ground Continuity Tester and we are also specialized in Calibration Services ( Calibrator ). Our setup is situated in Pune, Maharashtra, India. • High current crocodile wire/Test probe. • The Ground /Earth continuity tester works on test current of sinusoidal waveform. 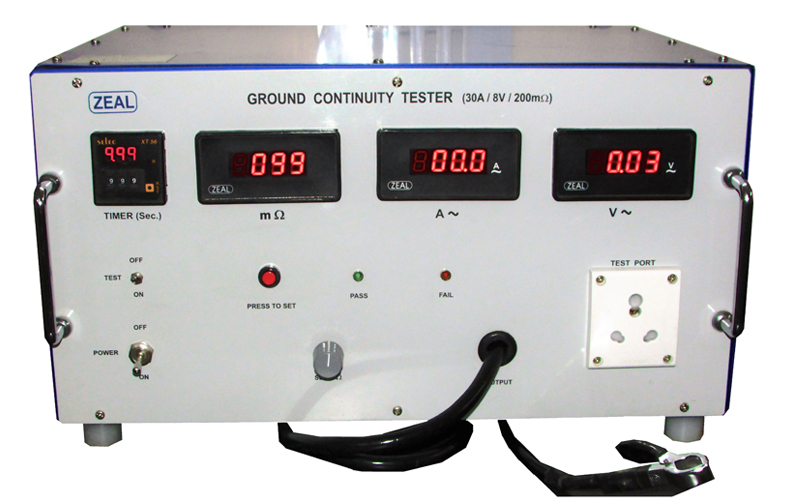 The typical test current severity is 30A. 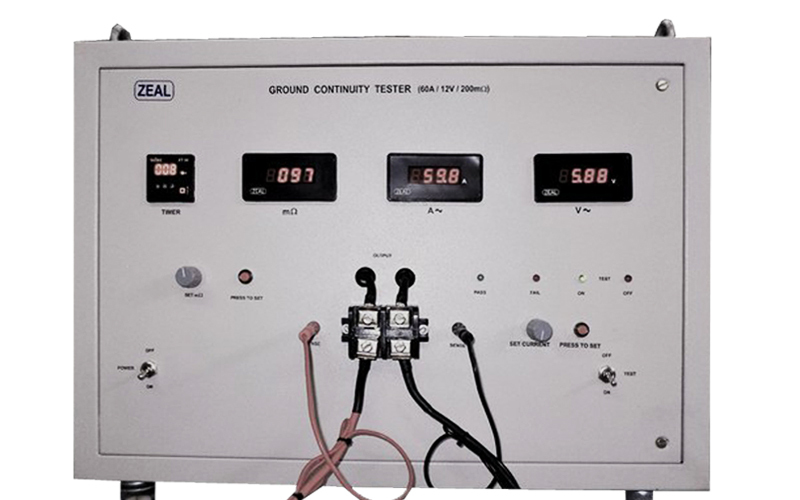 • Meters indicate test current, voltage drop across the ground path and mΩ resistance of ground path.